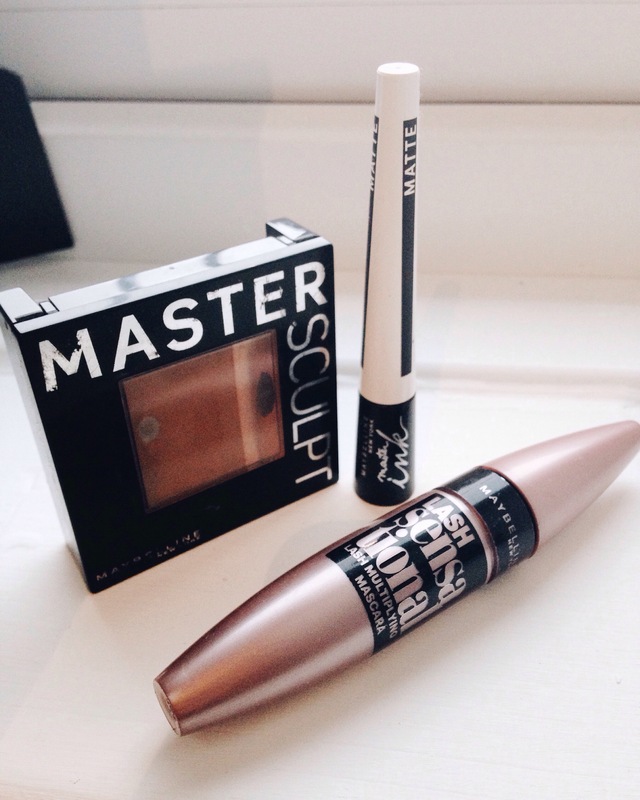 I have only just realised that my three favourite make up products all seem to be maybelline items! I couldn’t live without these three things and I’m so sad that my master sculpt contour kit is running low. I would definitely recommend these products and here’s why:…. 1. Maybelline Master Sculpt contour kit in fair, this is such a wonderful contour kit that comes with a powdered shaper and highlighter along with a small brush and a cute little mirror. I love how well it blends and the slight glitter sheen that comes with the highlighter giving you a cute little glow. My favourite by far! 2. Maybelline ink master matte eyeliner. A great little eyeliner I’ve recently started using that is long lasting and has a great precision brush for getting the deadliest points. 3. Maybelline lash sensational mascara. This is one of the nicest mascaras I have used. It has a slightly curved brush which makes your eyelashes look as naturally long as possible also it doesn’t seem to clump!! A great buy. Previous Previous post: Handmade Christmas Gifts. Next Next post: Best shower ever!